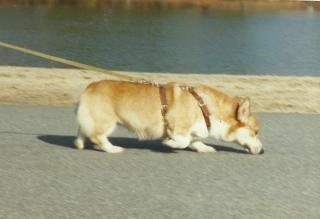 Of the various dog sports available, tracking is the most natural activity for dogs. 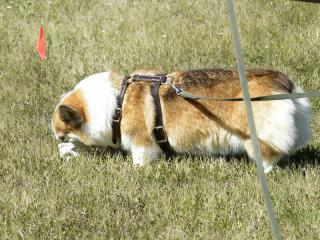 Dogs follow the tracklayer’s scent and find articles dropped by the tracklayer along the way. 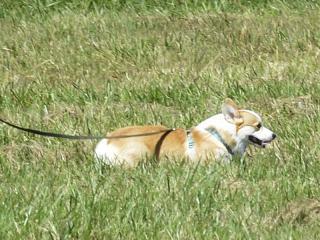 Tracking was originally part of the Utility Dog (UD) obedience title, but with the amount of land needed, it was not feasible to continue to offer it at trials. Tracking became a separate event with its own title, Tracking Dog (TD.) Advanced tracking was introduced in the 1970s and the first dog to pass a Tracking Dog Excellent (TDX) test was a Pembroke Welsh Corgi (though the title was not awarded as the track did not meet enough of the requirements.) The Variable Surface Tracker (VST) title was introduced in 1996. Dogs earning all three tracking titles are also awarded a Champion Tracker (CT) title. 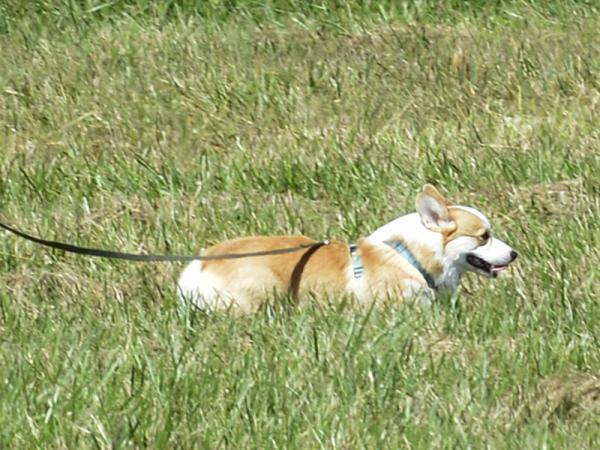 The first AKC breed champion to earn a CT was a Pembroke Welsh Corgi. The Tracking Dog Urban (TDU) title was introduced in 2014 as an additional introductory level tracking title for areas of the country that do not have land suitable for TD tests. Tracking tests are Pass/Fail events and a test needs to be passed only once to earn the title. Many people believe it is the least expensive dog event to train as all that is needed is a harness, a long line, some flags, some articles, and a motivated dog. The Pembroke Welsh Corgi is especially suited for tracking since it gives them a job to do, allows them to use their natural inquisitiveness and intelligence, and keeps them in control of the situation. Many trainers also use food, balls, or toys as incentives in early training, so tracking is definitely a Pembroke-approved activity! Owners must learn to “read” their dogs to work as a team since the dog is the one with the nose. There is no greater thrill than to reach the final article and raise it high for all to see that you and your Pembroke have earned that title!